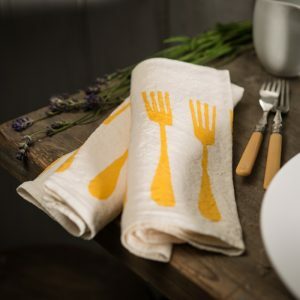 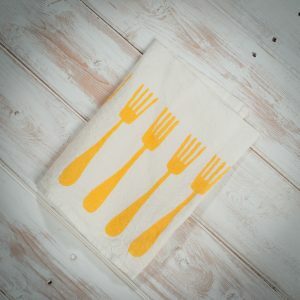 Bring some added fun and colour to your kitchen with this charming handcrafted linen tea towel. 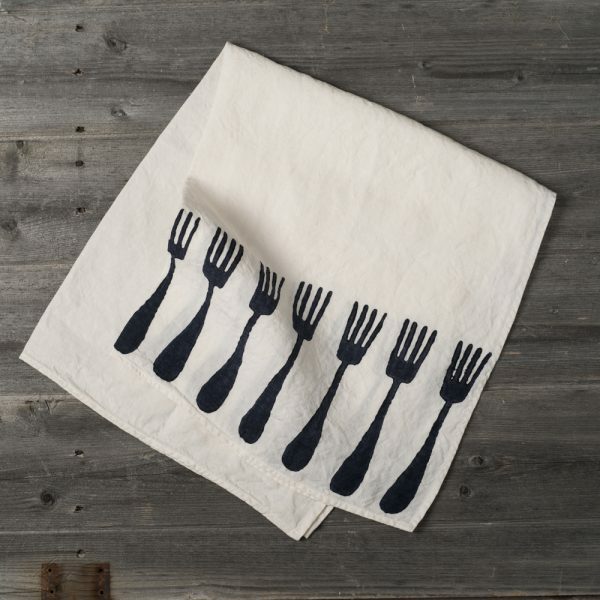 The hand-printed Forchette design was made in 1949 by the celebrated Italian artisan, Luigi Bertozzi. 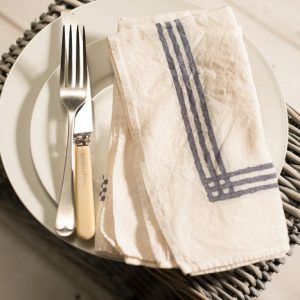 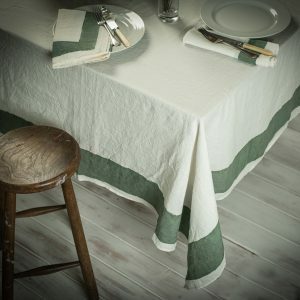 And the crumpled linen used to create this tea towel is the finest quality, traditionally woven, natural organic linen. 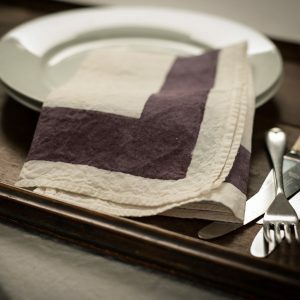 So not only does it feel beautifully soft to the touch, but it is also extremely easy to use and to take care of. 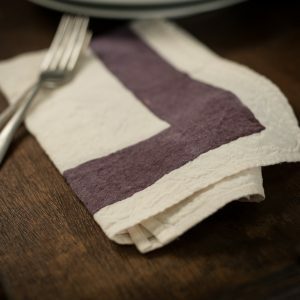 After use, you can simply leave it to dry naturally, and it gains beauty over time as the character grows.